Perfect for your young Steiff collector, "Happy" is the perfect teddy to hug and to hold. 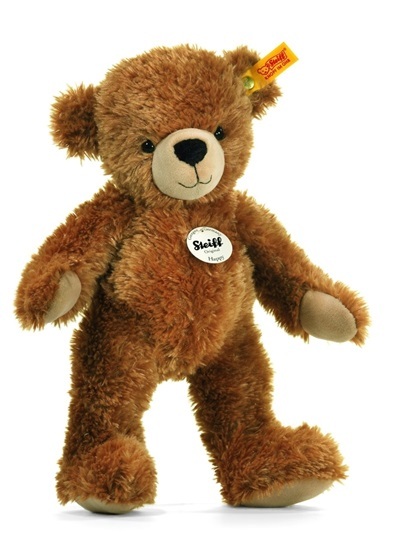 Made of a light brown soft cuddly plush, he is the perfect size for your little one. He has tan paw pads and snout, made of the same soft, cuddly plush. He is 16 inches tall, and has a weighted bottom. He has black glass eyes and a black hand stitched nose and mouth. Happy is good for all ages, machine washable, and comes with the yellow tag "Button in Ear". He is from Steiff's "Best For Kids" Collection.